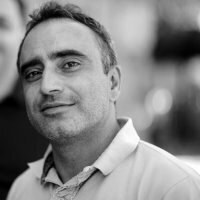 BIO: Marios Avraamides is a Professor of Cognitive Psychology at the University of Cyprus (UCY) and the Pillar Leader of Human Factors at RISE (Research Centre on Interactive Media, Smart Systems, and Emerging Technology) Nicosia. He holds a BA in Psychology from the University of Texas at Austin and an MSc and a PhD degree in Cognitive/Experimental Psychology from the Pennsylvania State University. Prior to joining the University of Cyprus, he worked as a researcher at the University of California Santa Barbara (USA) and at the Max-Planck-Institute for Biological Cybernetics (Germany). He has also carried out sabbaticals in the UK, at the Department of Experimental Psychology of the University of Oxford and at the MRC Cognition and Brain Sciences Unit (University of Cambridge). He has been the PI on a number of international and local funded projects, including an ERC starting grant, 2 ERC Proof of Concept grants, and 2 Marie Curie-Sklodowska grants. At UCY Marios directs the Experimental Psychology Lab, which specializes on empirical research in topics that relate to spatial cognition (e.g., navigation, orientation, memory). At RISE, he directs the Cognitive and Clinical Applications group that focuses on developing new technologies for cognitive training and clinical interventions. To be effective, modern technological applications should take into account the needs, preferences, capabilities, and limitations of human users. In recent years, this requirement has made more imperative the need to understand in more detail the human cognition and its constraints. Cognitive processes and their underlying neural substrates are traditionally investigated with laboratory studies that yield data of different forms, ranging from accuracy and reaction time data in behavioral experiments to electrophysiological responses and neuroimaging data in neuroscience studies. But how do such data enable psychologists and other scientists to draw conclusions about cognition? Also, how can the extracted knowledge be exploited for the design of evidence-based smart systems and innovative technologies? In this talk, I will address these questions by drawing examples from my research that employs various methods and techniques, including behavioral experiments in Virtual Reality, eye-tracking, and physiological recordings. Although most of this research focuses on how people attend, perceive, and memorize spatial information, studies investigating more general cognitive mechanisms (e.g., selective attention and executive functions) will be also presented. 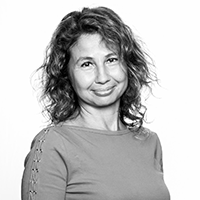 BIO: Mounia Lalmas is a Director of Research at Spotify, and the Head of Tech Research in User Engagement, where she leads an interdisciplinary team of research scientists working on personalization and discovery. Mounia also holds an honorary professorship at University College London. Before that, she was a Director of Research at Yahoo, where she led a team of researchers working on advertising quality for Gemini, Yahoo native advertising platform. She also worked with various teams at Yahoo on topics related to user engagement in the context of news, search, and user generated content. Prior to this, she held a Microsoft Research/RAEng Research Chair at the School of Computing Science, University of Glasgow. Before that, she was Professor of Information Retrieval at the Department of Computer Science at Queen Mary, University of London. Her work focuses on studying user engagement in areas such as native advertising, digital media, social media, search, and now music. She has given numerous talks and tutorials on these and related topics. She is regularly a senior programme committee member at conferences such as WSDM, WWW and SIGIR. She was co-programme chair for SIGIR 2015 and WWW 2018. She is also the co-author of a book written as the outcome of her WWW 2013 tutorial on "measuring user engagement". User engagement plays a central role in companies and organisations operating online services. A main challenge is to leverage knowledge about the online interaction of users to understand what engage them short-term and more importantly long-term. Two critical steps of improving user engagement are defining the right metrics and properly optimising for them. A common way that engagement is measured and understood is through the definition and development of metrics of user satisfaction, which can act as proxy of short-term user engagement, mostly at session level. In the context of recommender systems, developing a better understanding of how users interact (implicit signals) with them during their online session is important for developing metrics of user satisfaction. Detecting and understanding implicit signals of user satisfaction are essential for enhancing the quality of the recommendations. When users interact with the recommendations served to them, they leave behind fine-grained traces of interaction patterns, which can be leveraged to predict how satisfying their experience was. This talk will present various works and personal thoughts on how to measure user engagement. It will discuss the definition and development of metrics of user satisfaction that can be used as proxy of user engagement, and will include cases of good, bad and ugly scenarios. An important message will be to show that, when aiming to personalise the recommendations, it is important to consider the heterogeneity of both user and content to formalise the notion of satisfaction, and in turn design the appropriate satisfaction metrics to capture these. 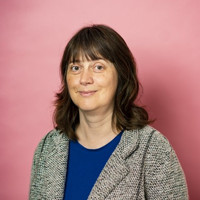 BIO: Professor Judith Masthoff is a chair in Interaction Technology at Utrecht University and in Computing Science at the University of Aberdeen. Her research focusses on personalization. She has applied this in a broad range of areas including recommender systems, intelligent user interfaces, intelligent tutoring systems, persuasive technology, and affective computing. She is Editor in Chief of the User Modeling and User-Adapted Interaction journal and a director of User Modeling Inc., the professional association of user modeling researchers. Researchers claim that we are facing a global loneliness epidemic, and that mental illness, anxiety disorders, stress and burnout are on the rise. Technology, such as social media, is often found to have a detrimental effect on mental health. This talk is about how adaptive systems can actively improve wellbeing, instead of contributing to making it worse. We will discuss different ways of doing so, the work already done, the challenges faced, and our vision of a new kind of personalized systems that act as guardian angels. First, systems can provide emotional support, adapted to the recipient's characteristics such as their personality, affective state, and stressors experienced. Second, systems can aid humans to provide emotional support, so mediating emotional support, adapting to both the support giver and recipient. Third, systems can support and motivate people to adopt behaviours that improve their wellbeing and that of others. Fourth, systems can team people up, deciding who are the best placed to provide support and motivation. Finally, systems can improve the wellbeing of groups and not just individuals, monitoring group wellbeing, encouraging and supporting effective group behaviours, and building group identity and cohesion. We envision adaptive systems as effective and emotionally intelligent contributors in the community, improving the way people interact, and acting like guardian angels.